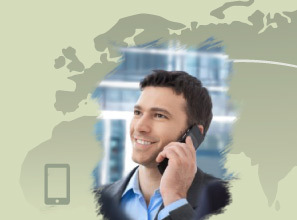 Cheap international calls from any phone, anywhere! Transparent billing, NO contracts, NO monthly fees, NO hidden charges! 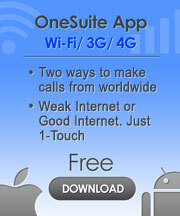 Immediately receive 1-month FREE subscription of OneSuite Fax Plus! Fax from Worldwide, or Call from Continental U.S and Hawaii per minute rates.